NEW DELHI: The campaign 'Main Bhi Chowkidar' has become a "people's movement" as the hashtag has been tweeted 20 lakh times and had 1680 crore impressions. Intensifying his 'Main Bhi Chowkidar' (I too am a watchman) campaign, Prime Minister Narendra Modi on March 31 will interact with people, who have pledged their support to the campaign, from 500 places across the country. 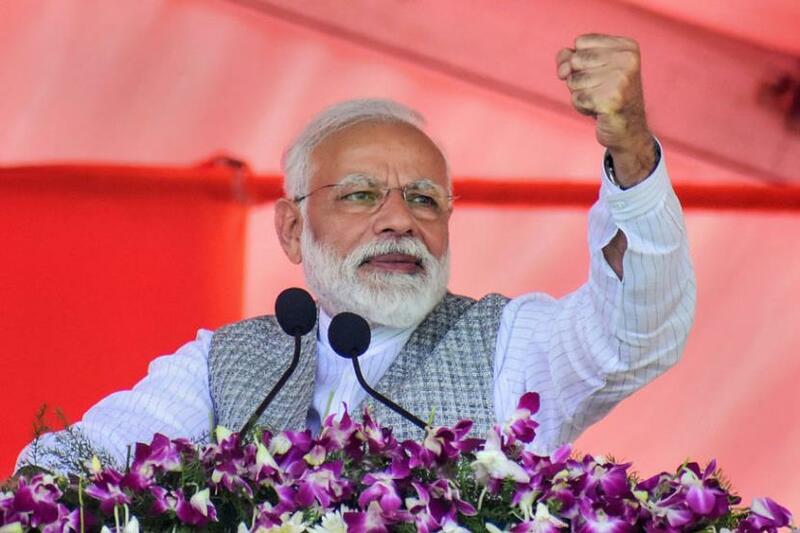 On Saturday, Modi on Twitter had urged his supporters to take the 'main bhai chowkidar' pledge, saying he is not alone in the fight against graft and social evils. BJP leaders, including its president Amit Shah and Union ministers, followed suit and later prefixed their name on the microblogging site with 'chowkidar' as they sought people's support for the party in the Lok Sabha polls. Prasad said Modi will interact with people from different walks of life, including BJP leaders and allies, professionals and farmers, from some "field location" through video-conference. Replying to a question if the campaign was a counter to Congress chief Rahul Gandhi's 'chowkidar chor hai' (watchman is thief) barb, he rejected the suggestion and asserted that Modi in his campaign for the 2014 Lok Sabha polls had projected himself as the "first servant" and 'chowkidar' of the country. "If they have nothing to hide, then they should also join the campaign," he said, describing the campaign as a "positive narrative" of the masses for a "corruption-free" India. Mocking Modi's social media campaign, Congress president Rahul Gandhi had said, "Defensive tweet Mr Modi! You feeling a little guilty today" as he tagged a picture of the prime minister with fugitive businessmen such as Vijay Mallya, Nirav Modi and Mehul Choksi besides industrialists Anil Ambani and Gautam Adani.